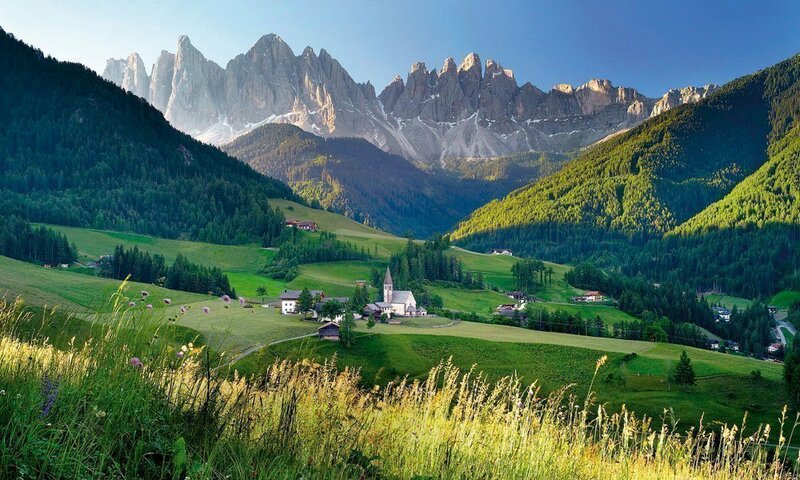 Many holiday regions in South Tyrol are surrounded by charming valleys bordered by the imposing mountain peaks of the Dolomites. One of these is the Villnöss valley (in German Villnösstal or Villnössertal), the connoisseurs of the alpine region attribute a special value to this region because of its scenic beauty, its quiet location and the many recreation possibilities on-site. The Villnöss valley branches north from Klausen from the Eisack valley and runs in a slightly curved track about 24 km to the east. Its eastern boundary forms the Peitlerkofel group. To the south is the Geisler group with the powerful Geisler peaks (3.025 m) a natural barrier. Villnöss – the municipality in the Villnöss valley – consists of the places St. Magdalena, Teis, St. Jakob, St. Valentin, Coll and the main town St. Peter – the location of our hotel. Our idyllic St. Peter is located in the middle of Villnöss valley. 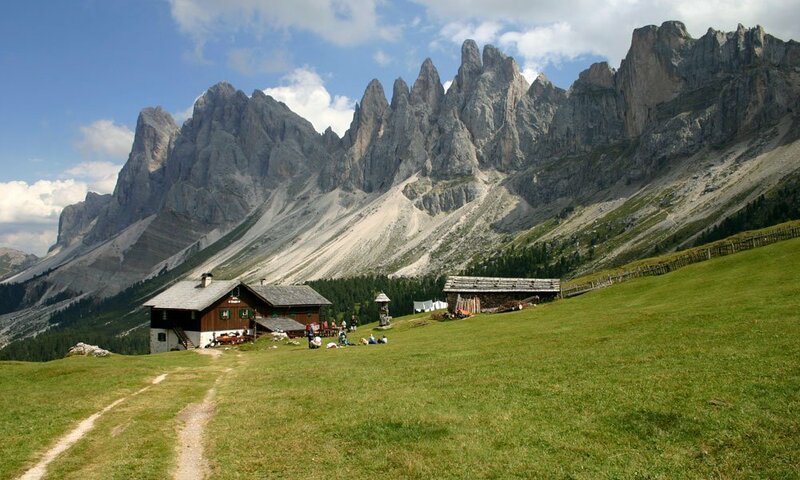 It is situated at 1,130 m and therefore considered a truly alpine village by many of our holidaymakers. Our place is known for its many sunny days. 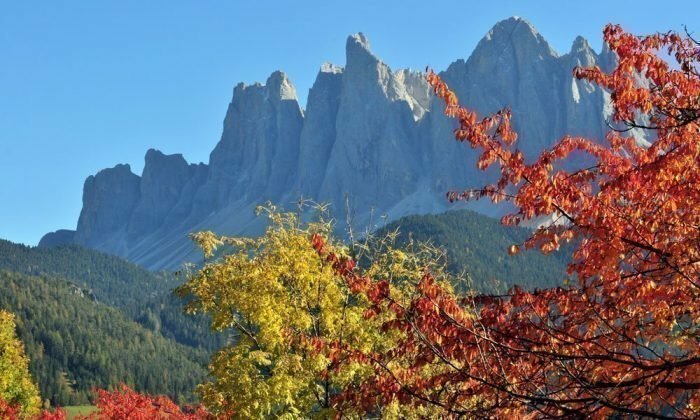 Here you can stroll in your holiday in Villnöss, dine well, get in the shops all the daily necessities and find many interesting places, where the South Tyrolean customs are cultivated. Our parish church with its 65 m high, onion-shaped steeple is doubtless our most visible landmark. It is considered to be the oldest of the entire valley and is only called “Dom in the valley” by us locals. The late baroque ceiling paintings created by the Tyrolean painter Joseph Schöpf are worth a visit. If you appreciate sacred works of art at the foot of the Dolomites, we can also recommend a visit to the neighboring village of St. Valentin, where a pretty branch church awaits its visitors, its Roman stone pyramid helmet is a feast for the eyes. St. Peter is the ideal starting point for many hikes in Villnöss, mountain biking or motorbike tours – for example up to the Würzjoch, at the end of the Villnöss valley. But of course our valley is considered an Eldorado for all mountain lovers. It is no coincidence that Villnöss is the home of mountaineering legend Reinhold Messner, who actually collected his first experiences here in the Dolomites. Of course he was also impressed by the scenery, which is so overwhelming to both us locals and to all the holidaymakers: the sight when the “pale mountains” are bathed in bright red tones by the evening sun and when picturesque rock formations, steeply rising walls and bizarre debris seem to come to life through this play of colors. 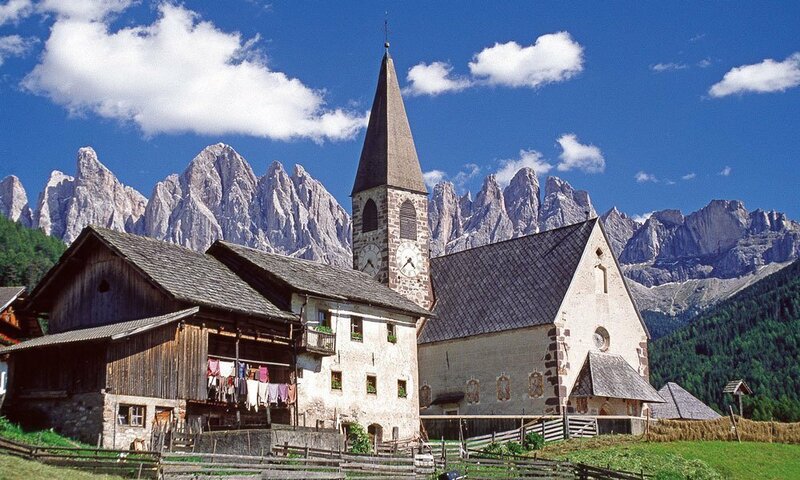 Holidays in Villnöss – this is always an access to the Dolomites, as it is unique in South Tyrol. What is pure magic is not less exciting from the perspective of science. The geologists are enthusiastic about a very special orientation of the valley, which has produced a geological structure that can only be experienced here. In the Villnöss valley, for instance, older quartz-phylite formations cover the more recent layers of rock. Apparently, these and other peculiarities of our region have always provided excellent living conditions. Already 5,000 BC. people were settled here. And so we are happy that over 7,000 years later visitors from far away come to experience the whole beauty of the Villnöss valley itself!